The Wayanad seat is a Congress stronghold and Rahul Gandhi was reported to have been reluctant to contest from Kerala since he does not know much about the power corridor of the south. 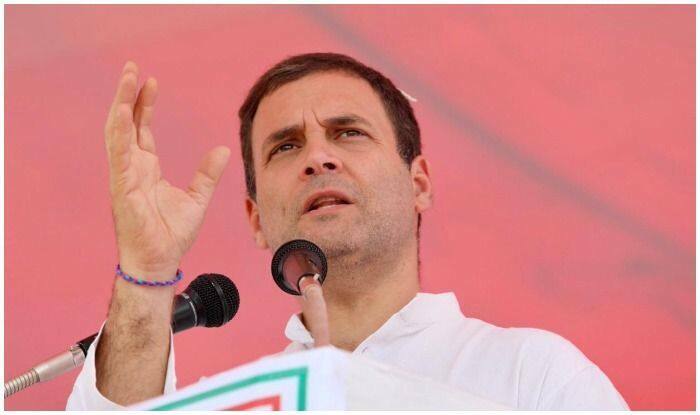 New Delhi: The All India Congress Committee General Secretary Oommen Chandy told the media on Saturday that the Kerala Pradesh Congress Committee (KPCC) has requested Congress president Rahul Gandhi to contest the Lok Sabha polls from Wayanad. “We are requesting Rahul Gandhi to contest from south India. We requested him to contest from Wayanad constituency in the upcoming Lok Sabha elections. We hope the decision is in our favour. I have discussed it with the proposed candidate for Wayanad and he also welcomed it,” Chandy said. However, some sources suggest that Rahul Gandhi has already given his nod to contest the election from Wayanad. KPCC president Mullappally Ramachandran is believed to have announced already that the Congress chief will fight from the Wayanad constituency. On the other hand, Congress spokesperson Randeep Singh Surjewala told reporters that the party’s Kerala has just conveyed their wishes and a decision will be taken in this regard soon. The Wayanad seat is a Congress stronghold and Rahul Gandhi was reported to have been reluctant to contest from Kerala since he does not know much about the south power corridor. Congress’ MI Shahnawaz won the 2014 elections by a margin of 1,53,493 votes but passed away six months into office. As reported by The Hindustan Times earlier, Rahul Gandhi was expected to choose from Bangalore Central, Bidar and Mysuru from Karnataka, Kanyakumari and Sivaganga in Tamil Nadu and Wayanad in Kerala. “Congress president contesting from Lok Sabha seats in South India and North India will strengthen national unity and integration,” leader of opposition in the State Assembly Ramesh Chennithala said. The Congress earlier this month announced that Rahul Gandhi will contest from his bastion Amethi and Sonia Gandhi from Rae Bareli.